Mt. Eisenhower, formerly known as Mt. Pleasant, is the named after the former general and United States President. Its grassy summit features views in all directions. Due to the seasonal closure of Mt. Clinton Road (Edmands Path trailhead), Mt. Eisenhower becomes more difficult to access in winter. The Mt. Eisenhower Loop crosses the summit of Mt. 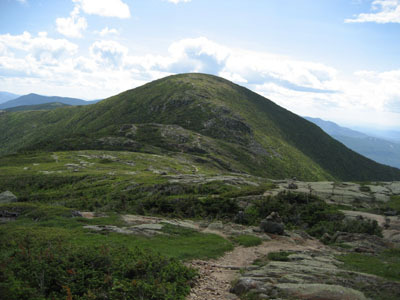 Eisenhower and can be accessed via the Crawford Path, Edmands Path, or Mt. Eisenhower Trail.